The laws that determine how to file medical malpractice lawsuits can be confusing. All states follow certain basic principles when it comes to medical malpractice laws; however, law specifics can vary from state to state. Even though you will have a qualified attorney help guide you through the application process, having a basic grasp of Illinois state malpractice laws can be beneficial as you prepare your case. In medical malpractice law, a “statute of limitations” or “statute of repose” tells you how much time you have to file a legal action against a medical professional who harmed you through negligence. Illinois law states that you have to file your lawsuit within two years after you discover (or reasonably should have discovered) the injury caused by the medical malpractice, and no more than four years after the negligence took place. Also called an “affidavit of merit,” this is a document that needs to be filed along with the complaint when you initially file your medical malpractice lawsuit in Illinois. A medical expert must sign the certificate of merit and attach a report stating that your case has merit and you have reasonable cause to initiate a lawsuit. The first step in acquiring a certificate of merit is to set up a consultation with a healthcare professional who was not involved in the original case and who can look at the facts independently. You may talk to the professional directly, or your Illinois medical malpractice lawyer may consult with the medical expert on your behalf. The certificate of merit must be filed within 90 days after you file your lawsuit, and if you miss this deadline your case could be dismissed by the court. You can file your medical malpractice lawsuit without this certificate, and your lawyer may encourage you to do so if the statute of limitations deadline is approaching. If you lost wages from your job or incurred medical bills because of medical malpractice, these economic damages have a dollar amount for which you can seek reimbursement. You can also sue for non-economic damages such as pain and suffering. Non-economic damages are not as easily measured, so some state laws place limits on the amount of money you can receive in your settlement for these types of injuries. For several years Illinois had a cap on non-economic damages, which allowed two people with drastically varying injuries to be given the same settlement. This ended in 2010 when the Illinois Supreme Court Supreme ruled it unconstitutional for laws to limit compensation for pain and suffering. If you are partly responsible for your medical injuries, for example by ignoring the advice of a medical professional or failing to take medication prescribed for you, you may wonder whether you will be able to file a medical malpractice lawsuit in Illinois. In many cases the answer is “yes,” although the amount you can recover for damages will be reduced based on how much of the fault lies with you. 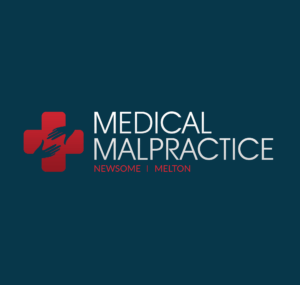 Illinois medical malpractice law follows a system known as “modified comparative negligence.” In simple terms, this means that your health care provider will have to pay a percentage of damages based on the percentage of his or her fault. If the court determines that you were 50 percent or more to blame for your injury, however, your lawsuit will be dismissed, and you will not be awarded damages. The distinctive elements of your lawsuit and lawsuit application will be dictated by the rules and procedural laws of your jurisdiction. A qualified medical malpractice attorney can answer your questions and aid your understanding of Illinois laws.